So here are six books that meant the most to me as I was developing into an independent adult. The bookend is my favorite, an old McCoy Lilybud in a soft matte white. The books with titles to be read upright are upright. The books with titles to be read horizontally are horizontal. My girlfriend at Huntsville High School, Cathy Earnest, told me that her Uncle Danny, whom she rightly adored, had recommended The Crock of Gold by James Stephens. Stephens was part of the Irish Renaissance, a period of writing that produced James Joyce, Samuel Beckett, and others. Luckily the Huntsville Library had a copy and even more luckily it was a hardback with all the original color illustrations. Don’t even think of reading a paperback copy of this marvelous book. The illustrations by Thomas Mackenzie are as important as the writing. I realize I’ve told you next to nothing about the book, except read it. I’d started reading Alan Watts while I was in high school, and one of his books that influenced me the most was The Joyous Cosmology which describes his use of hallucinogenic drugs. It led to the fateful day when Cathy and I went off in the woods on Huntsville Mountain and spent the next several hours “watching the glories roll by” as Neil Young would say, or “changing our minds” as Michael Pollan says. On the way home, Cathy said that she wanted her mother to try it. I told her I didn’t think it was a good idea to even tell her mother, but I appreciated her sentiment. That night I picked up the book Starmaker by Olaf Stapledon (which had been patiently waiting on my bookshelf, as books do) and read the Preface. I realized that the book was going to mean so much to me that I’d better read it with a dictionary. It had a lot of words I didn’t know, and I wanted to get everything out of the book that the author put in. (Ignore the fact that Dover Publications bound the book together with his earlier book, Last and First Men. Starmaker is the one to read!) It took my conception of how big the universe could be and reduced it to the size of a grain of sand—and gave me a much bigger conception of the universe. When I first went to Shasta Abbey in 1976 (and became ordained as a lay Buddhist) the person who ordained me recommended And There Was Light by Jacques Lusseyran. Lusseyran went blind early in his life and never took it negatively. He tells his amazing story which includes working with the French Resistance in WW2, and being captured and put in a concentration camp. That was one of the biggest lessons in my life, that whatever happened to me, I should take it positively—and thereby get the gift of that moment. Those are my “ideal bookshelf” titles. I would love to hear about yours. I have design indigestion. I’ve been looking at too many copies of Architectural Digest in a short period of time. Some friends of ours subscribe to it and, every few years, they give us their copies. I actually quite enjoy the magazine, but often not for the reasons the publishers intend. I’ve probably seen just about every issue since the 1960’s—all my bookstores carried it. I rarely read the articles all the way through—usually I just look at the pictures, and maybe read the captions. They have a new editor, and lately they’ve taken to doing something they didn’t used to do—for their photos of celebrities, they note who the designer is for the clothes that the people are wearing—as if it were a fashion magazine. That’s one of the things that I laugh at that the publishers don’t intend to be funny. The other things are some of the outrageously ridiculous objects and interiors that (some) wealthy people think are cool. My phrase for that is people with more dollars than sense. One of the dining tables had a huge yucca-type plant in the middle. You couldn’t see over it, and the people around the table would be within inches of very sharp, stiff pointed leaves—like swords. Wouldn’t want to eat there—don’t care how good the food might be! The ads can also be a great source of laughs. One of Michael Amini’s ads is for a bulky, overdone bed (called Grand Masterpiece) with lights built into the top and every square inch of the bed surface is covered with decorative pillows (complete with karate chop). Karate-chop pillows, which are thankfully becoming out-of-date, are rarely (if ever) seen in the photos of the articles, but Jane Seymour (who designs for Amini) hasn’t been told that, so the nice lines of her couches are often obscured by a plethora of karate chop pillows. Which brings me to the libraries that are pictured in the magazine. It’s so obvious when the books were simply bought for their decorative covers (and never read) or when the resident has books that are thoughtfully chosen, cherished, and read. There does seem to be a current fad in some homes of stacking books on top of each other instead of putting them side by side, as is traditional. That’s fine for coffee tables and side tables, but on shelves, it’s better to put them side by side—that says the information is more accessible. A few more quotes: “I like to keep things simple. Furniture decorates a room, so you don’t need a lot of colorful fabrics.” That’s from John Rosselli. And this from Bunny Williams, “I get so upset when people ask, ‘What’s new in decorating?’ Just take what you have and make it look new.” Which reminds me—I looked around our home for items that were bought new. Besides the three sinks, toilet, refrigerator, and stove, there are just the pads under the rugs (A pad under a rug adds hundreds of years to the life of the rug.) and the fabric that my husband used to make the curtains between the library and the living room. Maybe there are one or two other items (like a globe and a small rug) but we’re just not big consumers of newly made items. Something else I like about Architectural Digest is that it was one of the first publications to picture the homes of gay couples and to identify the people (usually men) as couples. This was way before marriage equality came about. I’ve been writing a series of articles on large buildings, and it seems appropriate to interject an article on small buildings—as yin/yang balance. It’s easier for a small building to have good feng shui than it is for a large building—especially homes. Tiny homes are quite trendy now. 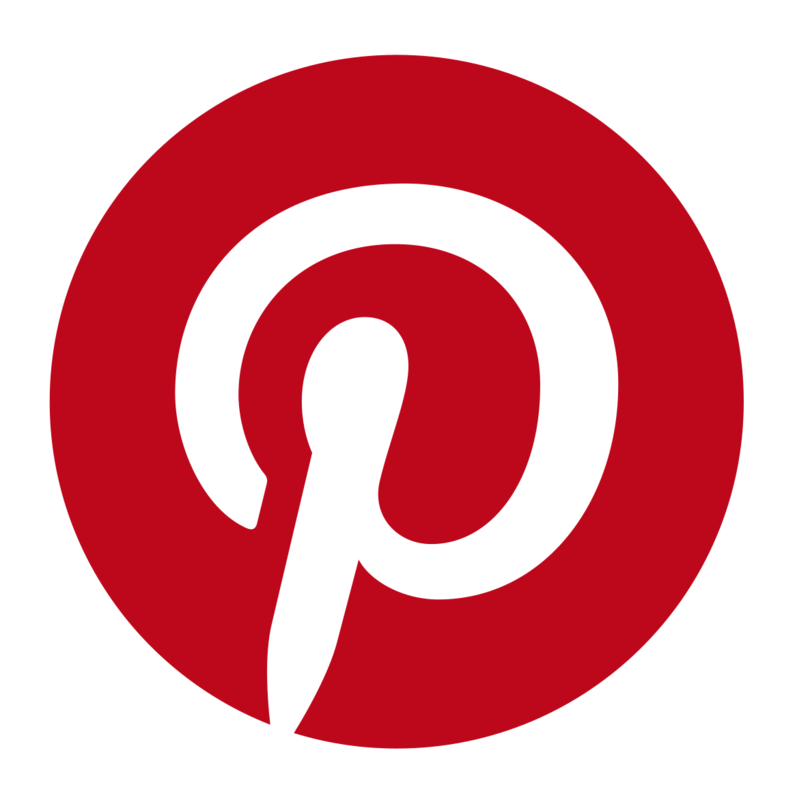 There’s something very practical about them, and they certainly force you to deal with your clutter (which regular blog readers know I am firmly against). I used to live in a very tiny home. In the late 1970s and the early 1980s I lived in an old smokehouse in Hotrock, Tennessee. (It was called Hotrock because years ago, a certain big flat rock on the nearby Elk River was used for gambling.) Hotrock is about 30 miles from Huntsville, Alabama, where I had founded my second bookstore, Books as Seeds. The building I was living in was about was about nine feet by eleven feet. The thing that made it very livable was the bed I built, which folded into a wall, with a built-in bookcase. The room never felt like a bedroom until just before I crawled into bed. We have three books on tiny buildings in our own home library, and I checked out another from the library system. The book from the library is fairly new and it’s called Nomadic Homes—and it’s from Taschen. (Need I say more?) I had looked at the Taschen Publishing catalog (which does not look like a regular catalog at all) hoping that a certain three-volume set on Art Nouveau architecture in Europe was in the library system, but alas—no. So I settled for Nomadic Homes which was in the same catalog. Truthfully, there’s no such thing as “settling for” when it comes to a book published by Taschen. The book is huge and packed full of innovative ideas and stunning pictures. (Interlibrary loan is totally free in Hawaii, within the state—so rush on down to your local library to pick it up. You can easily request it online on the state website). A Hut of One’s Own: Life Outside the Circle of Architecture by Ann Cline could not be a more different kind of book. The Taschen book is yang and this little book with black and white photos is quite yin. It’s from MIT and those folks really know how to make interesting architecture books. This one feels very meditative. Small Buildings by Mike Cadwell is another small size book with B&W photos, and it’s mostly photos, whereas the previous book was mostly words. The buildings are simple, chunky, arty buildings, and it’s in the “pamphlet” series from Princeton Architectural Press. Micro: Very Small Buildings by Ruth Slavid is from Lawrence King Publishing, and even though I didn’t know of that publisher before, I immediately respect them. The book has a nicely innovative binding of two very hard and thick cardboard boards that are the natural wood pulp color of unbleached paper. That’s the first thing everyone says about this book—how nice it feels. And it turns out to be a major study of small buildings worldwide, with lots of color photos. As far as feng shui is concerned, a tiny home is like a multivitamin pill—a lot of umpf in a very small space. If you get your feng shui right (especially emphasizing the bagua areas that you want to work on) you will know about it in your life. And the caution is: that if you get the feng shui wrong—like putting the bathroom in the Wealth Corner—you’ll also know about it. The area outside of your home is as important as what’s inside your home—it’s what people notice first, before they step inside your home. Your yard and garden can invite good energy into your home, they can balance the energy around your home, and they can protect your home from harsh energy. Those three things are the big deal outside your home. 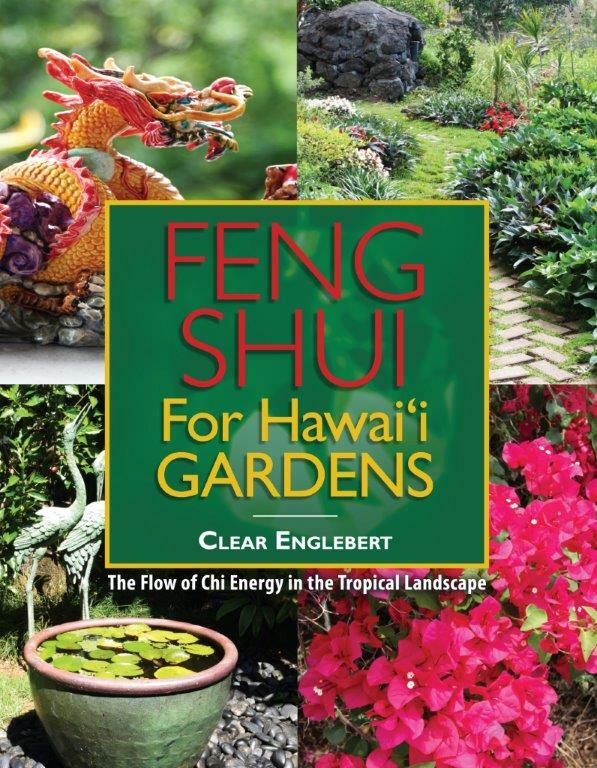 After I wrote Feng Shui for Hawaii Gardens I compared it to the other feng shui garden books on the market and realized that it’s really the best book out there on the subject of feng shui outside. You can ignore Hawaii in the title—the principles apply anywhere. The recommendations of individual plants are mostly for warm climates, but you can ask any nursery person in your area which plants can be substituted in your climate. Angi Ma Wong’s set is packaged with smart origami. There’s the separate little book at the top. 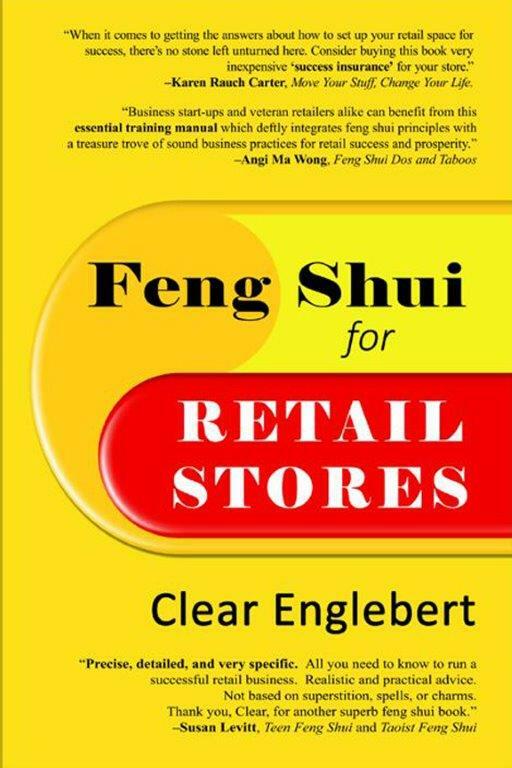 The most surprising thing I discovered when I carefully looked over the existing feng shui garden books is that, besides Gill Hale, I am the only author on the list who practices feng shui full time. Many of the books on the list use vast amounts of what I consider to be filler—information completely unrelated to feng shui. 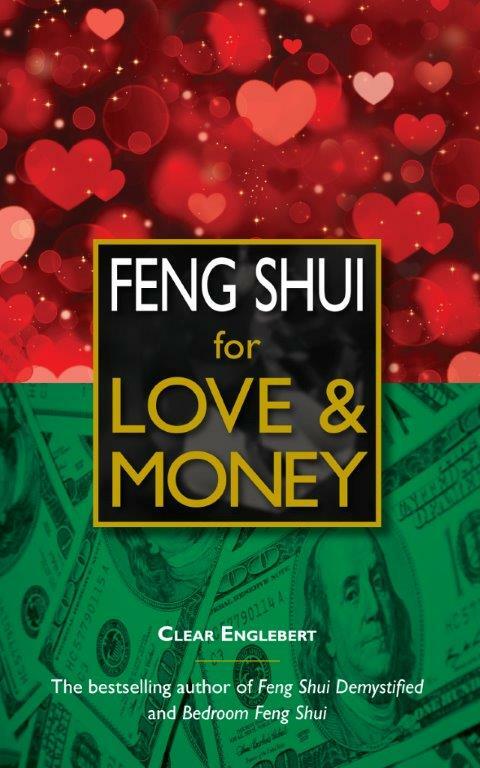 It’s almost as if the authors are just using “feng shui” as a phrase to sell a book (the same as some authors use “Zen and the art of…” to sell their book). I see this as a sign of an author who doesn’t know the subject deeply. There’s plenty to say about the exterior from a feng shui point of view. I love gardeners and you folks deserve to be warned away for certain books that would just be a waste of time. That being said, I’ll start with the better books and end with a short review of my own book. Angi Ma Wong’s Feng Shui Garden Design Kit by Angi Ma Wong, 2000, Pacific Heritage Books. The book itself is a small spiral bound jobbie designed to sit up and you flip over the small, thick pages—all 25 of them. The great thing that you do get with this kit is a very large bagua on stiff pager with an actual compass in the middle. Yes, it’s a Compass School book, but anyone familiar with Wong’s books knows that she puts in information that is applicable to all feng shui schools, such as yin/yang. The very cool thing about this book is that it’s a different book when read back to front (on the odd numbered pages). The book, read in reverse, is designed to sit at the edge of each area of the large bagua and gives information on that area—I love the care that’s put into this kit. Unfortunately, it’s difficult to find. The Feng Shui Garden by Gill Hale, 1998, Storey Publications, 128 pages. Gill Hale is a very well respected British feng shui consultant, a prolific author, and obviously a passionate gardener. The publisher has taken great care with lots of charts, drawings, and plenty of color photographs throughout. 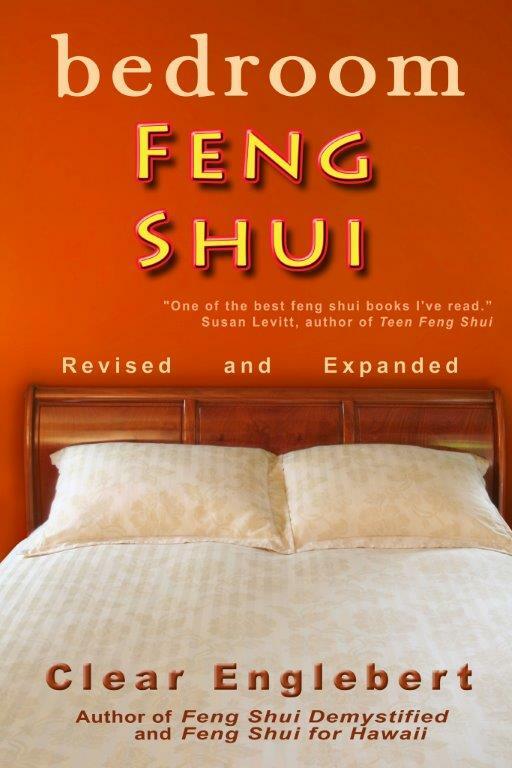 The subject of feng shui permeates the entire book—no “filler” material—hurrah! She is a Compass School practitioner, but is kindly diplomatic when discussing other schools. Feng Shui for Gardeners by Lillian Too, Element Books Ltd. (British copyright 2002), 224 pages. Lillian Too is feng shui’s most prolific author, owning her own publishing company and writing over 100 books. Every year she publishes at least 12 more—one for each of the Chinese zodiac signs with predictions for that year. Too readily admits that she is not a feng shui consultant. The majority of this book is strictly Compass School. The photographs are obviously of British gardens. This is exactly the same book as her Feng Shui for Gardens which is copyrighted 1998, and that is mentioned on the copyright page of the Feng Shui for Gardeners book. Feng Shui for Gardens by Lillian Too, (British copyright 1998), Element Books Ltd., 224 pages. Mentioned above. Lillian Too’s Little Book of Feng Shui for the Garden by Lillian Too, 2008, Konsep Lagenda Sdn Bhd. Many of Lillian Too’s books are available in concise, very small editions—this is one of them. It is a Compass School book. Feng Shui in the Garden by Nancilee Wydra, 1997, Contemporary Books, 175 pages. There’s one page of color inserted in the middle of the book, otherwise there are quite a few black and white drawings. The first half of the book dwells heavily on color and plant symbolism, in fact I can’t think of any book that does a better job on that score. The actual feng shui part is an application of the bagua to the lot. The second part of the book concerns different theme gardens: Power, Meditation, Fertility, Retirement, Healing, etc. Then there’s my own book. 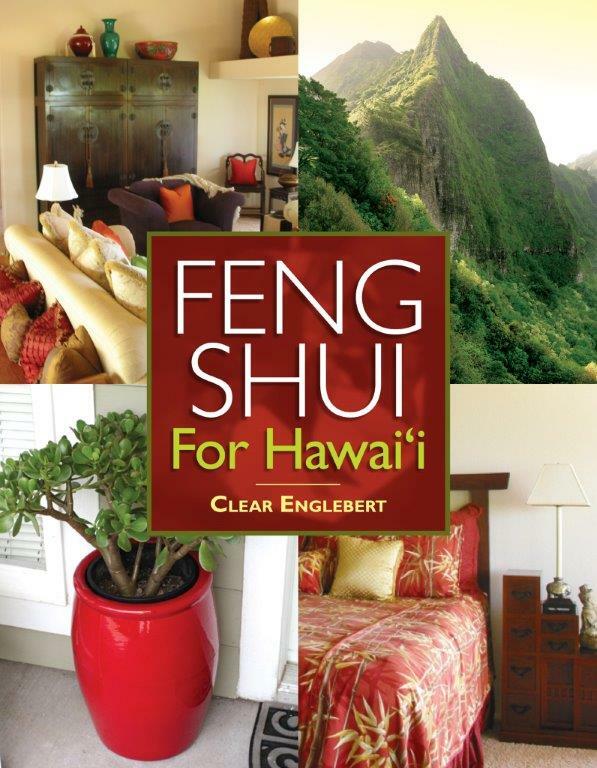 Feng Shui for Hawaii Gardens is a straightforward, common-sense treatment based on Form School feng shui. Form School is concerned with the form of things—shape, layout, and color. Often called Landform Feng Shui, it is the oldest kind of feng shui and is widely practiced in North America. The three basic concepts of inviting good energy onto the property, nurturing that energy, and protecting from harsh energy are things I believe in and stand behind. They are things anyone can understand without huge leaps of faith. No other book takes this simple approach. 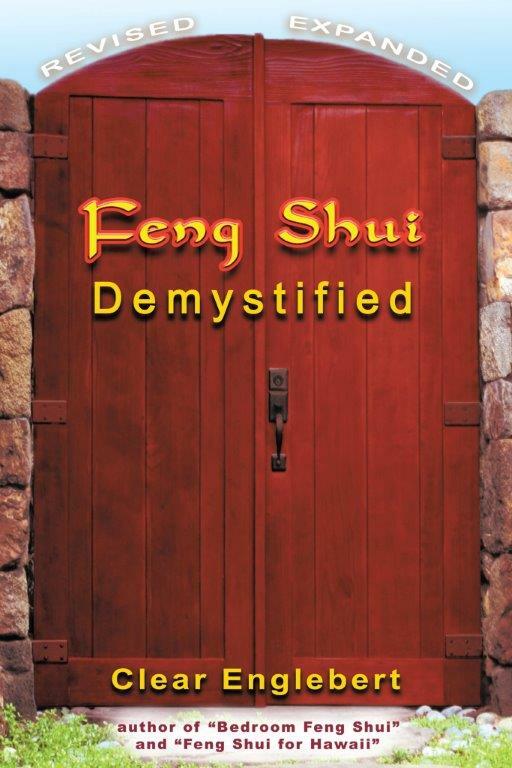 It is an approach that I created to teach my classes on exterior feng shui. My book deals with symbolism—symbolism that is rooted in common sense. If something looks threatening, it’s probably having an adverse effect on you and it would be best to screen that view—simple problem, simple solution.